Been using Trifexis since it came on the market! You may need to force your dog to take it. 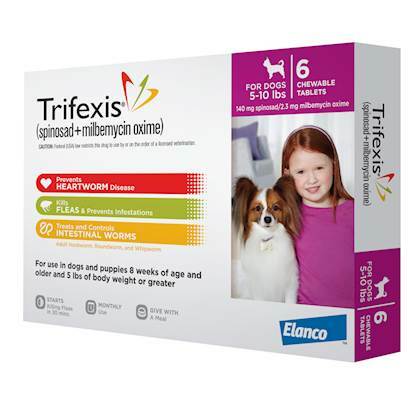 This is the best product for fleas that I have found for our dogs. Trifexis has been great for our Doberman!!! Keep your fur babies healthy! Product is simple to use. Good product, fair price, but slow. Keeps my dog healthy without the worry. Awesome to have it all in one pill. all in all, it does what it's suppose to. This product is easy to give to your dog. Most successful product we have tried in this category.